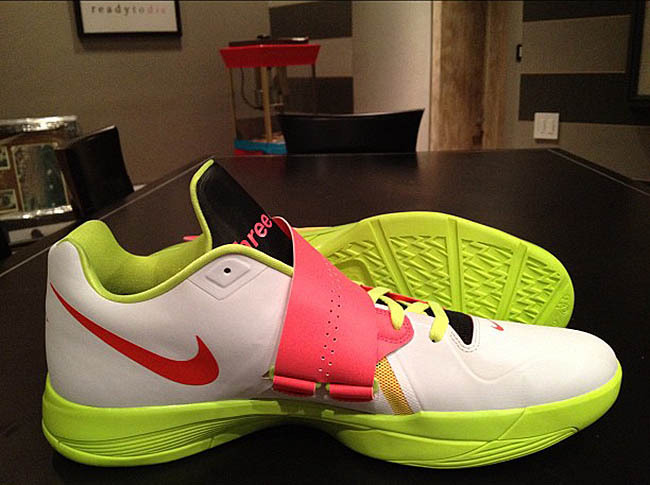 Just when you started to think you've seen all that the Nike Zoom KD IV has to offer, this unique new colorway comes from way out of left field. 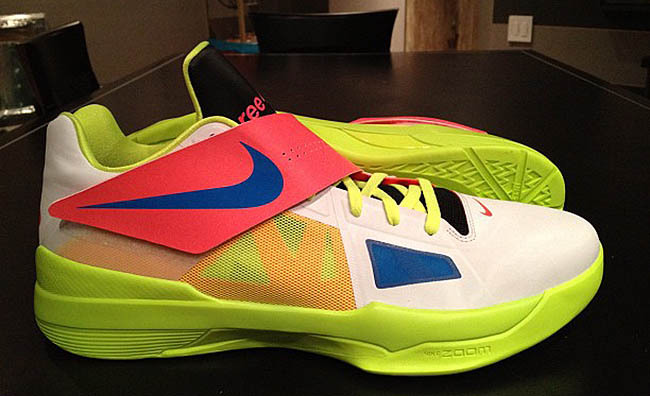 Just when you started to think you've seen all that the Nike Zoom KD IV has to offer, this unique new colorway comes from way out of left field. 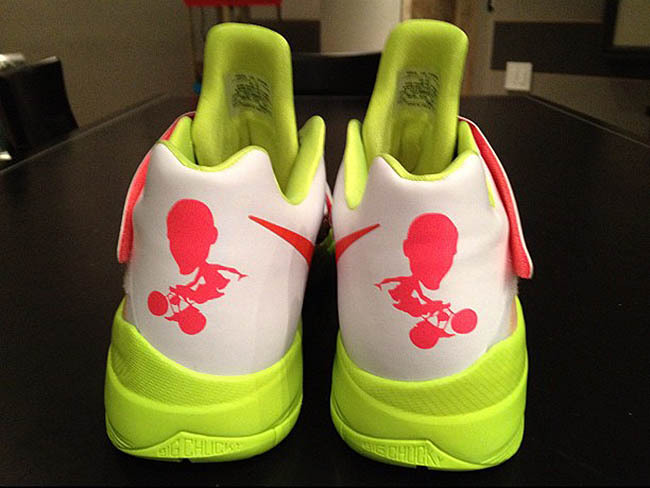 Shared by KD's right hand man Randy Williams, what initially appears to be a NIKEiD created colorway is actually a never-before-seen sample pair. The shoe sports a white synthetic upper with a Hot Punch cross-strap and blue filling in the Swoosh logo and forefoot mesh underlayer. 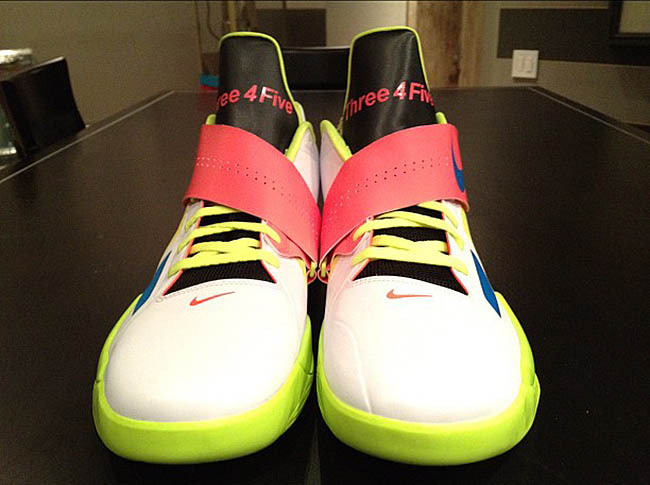 Text across the black tongue reads "Three 4 Five," which may be a play on the tongue logo you usually see on KD IVs. 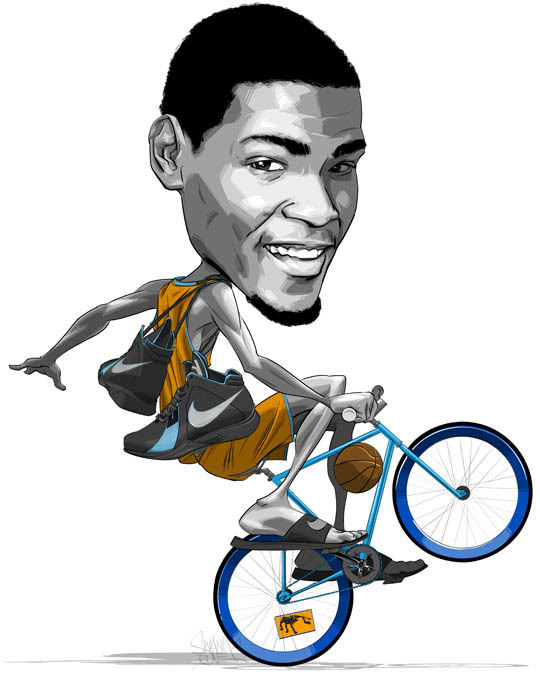 The most distinguishable feature this shoe has to offer is the bike riding Kevin Durant silhouette on the heel, which was apparently designed by artist Swank One. Kevin has always liked to integrate details of his life into his footwear, and that's likely the case with this mysterious sample. Enjoy a few photos of the "Three 4 Five" shoe below and stick with Sole Collector for more information as it becomes available.